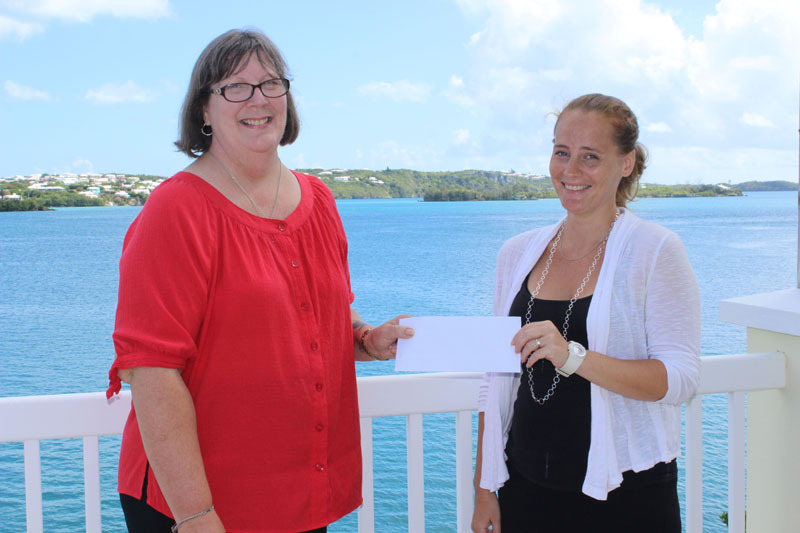 The Bermuda Zoological Society [BZS] said they “would like to recognize and thank Global Indemnity Re for their recent donation to aid in our environmental programmes. The gift will be allocated to the Bermuda Turtle Project, making them a Leadership supporter of this important community project, data from which has global implications. The BZS said, “For over sixteen years the International Course on the Biology and Conservation of Sea Turtles has served 140 students from the Caribbean and North Atlantic. The goal of the Bermuda Turtle Project is to further the understanding of the biology of endangered marine turtles, in order to promote their conservation in Bermuda and worldwide. “Bermuda’s immature green turtles have been the focus of a tagging study initiated in 1968 by Dr. H.C. Frick, and is one of the first scientific investigations of this species in their juvenile developmental habitat. “Until this summer there had been no evidence of green turtles nesting in Bermuda since the 1930’s, and in August a bounty of almost 90 hatched green sea turtle eggs was discovered at the site of what is believed to be the first on-Island hatchlings for 100 years.